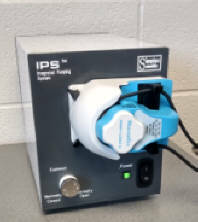 The Integrated Pumping System or IPS combines a peristaltic pump with a valve controlled by a microprocessor and connected via USB to a computer. The standard system comes with a Masterflex L/S Easy-Load 3 Pump head and is compatible with other Masterflex heads for specialized uses. 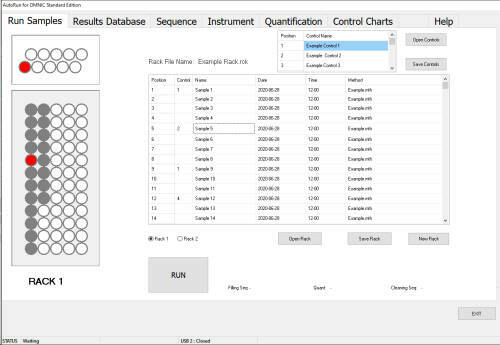 Simplex has developed a number of components that can be used to build a smart automated system for liquid analysis. The clip-on Liquid Detection system provides monitoring of the fluids to allow easier programming of an automated system. The Automated Accessories are software controlled with a number of options for interfacing. Their features can be accessed by the Macros or Scripting language of most Infrared software or controlled by Simplex SimBasic. Simplex can also provide custom software solutions. New compact, Integrated Pump system.